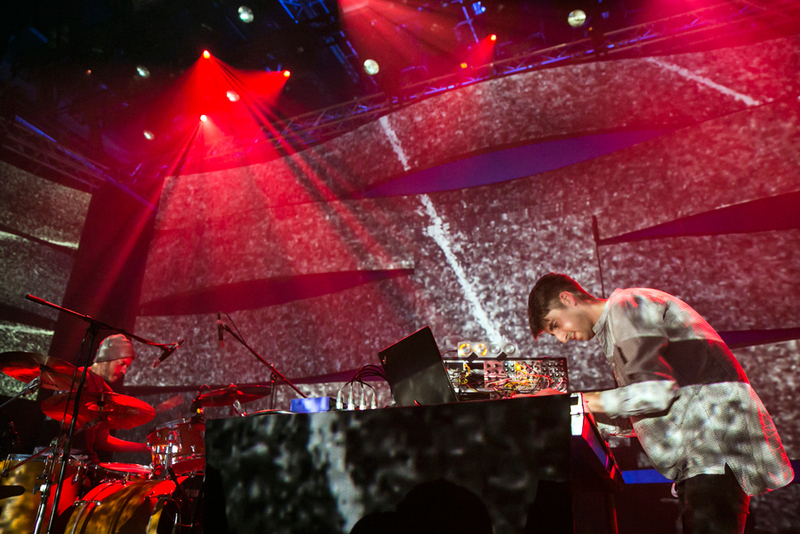 After a rollicking good time in Podgorica, Electronic Beats’ festival season kicked on to Budapest with James Blake, James Holden, Zoot Woman, and Joy Wellboy in tow. All photos by Balázs Mohai. 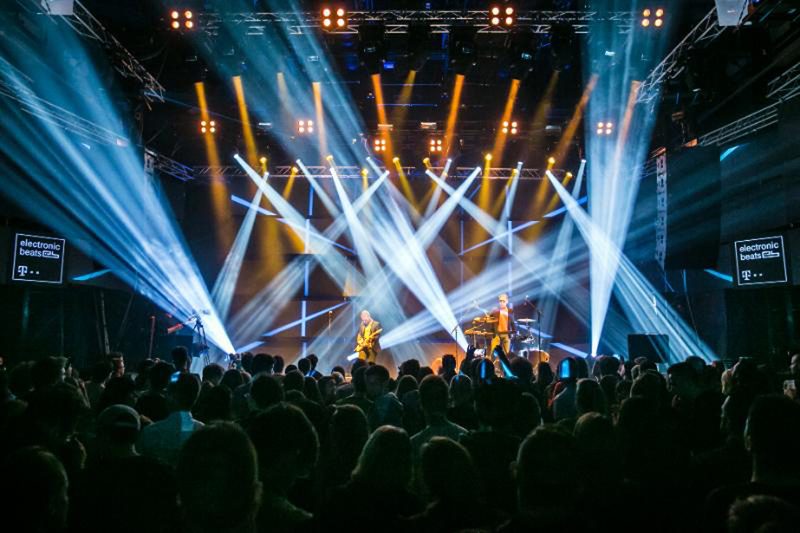 Electronic Beats capped a busy and politically-charged week in Budapest last night with a crowded bash at the Millenáris Teátrum. Doors opened at 8, just hours after thousands gathered near the Erzsébet Tér to protest the policies of prime minister Viktor Orbán, particularly the proposed internet tax that he delayed in response to the public demonstrations that took place throughout the week. 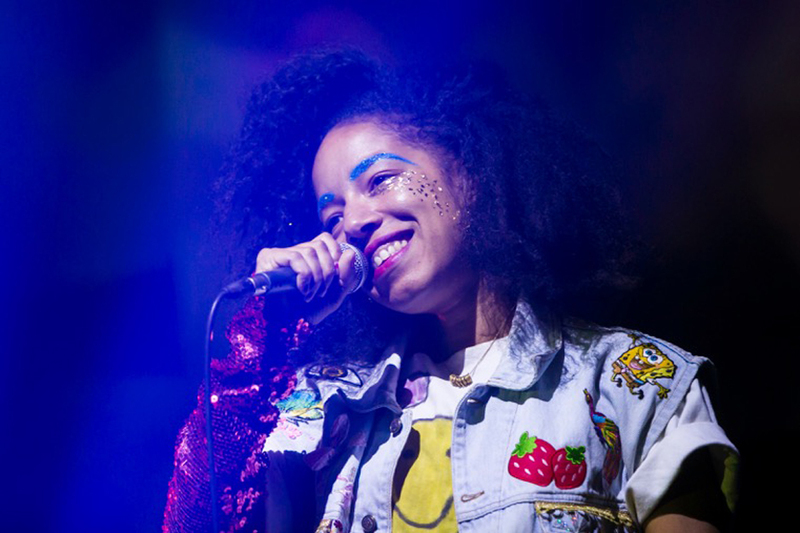 But at the Electronic Beats festival, locals could leave their governmental woes behind and lose themselves in a series of absorbing performances by recent SLICES stars Joy Wellboy, triumphant comeback duo Zoot Woman, emotive post-(post-post-)dubstep icon James Blake, and hypnotic hardware wizard James Holden. Joy Wellboy opened the night with an energetic stream of tracks plucked from their recent album on BPitch Control, including “Birds” and “Lay Down Your Blade.” Frontwoman Joy Adegoke, decked out in a phantasmagoric splash of technicolor makeup, writhed and thrashed through a melange of electronic-tinged indie pop. Joy’s energy had a visible effect on the growing crowd, and by the duo’s closing track, hands were in the air. 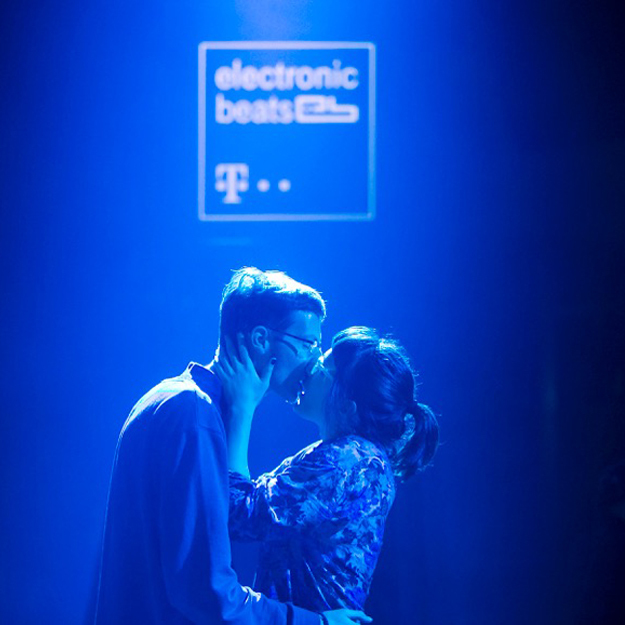 #joywellboy on stage at #electronicbeats festival #Budapest. Also here tonight: James Blake, Zoot Woman and James Holden! 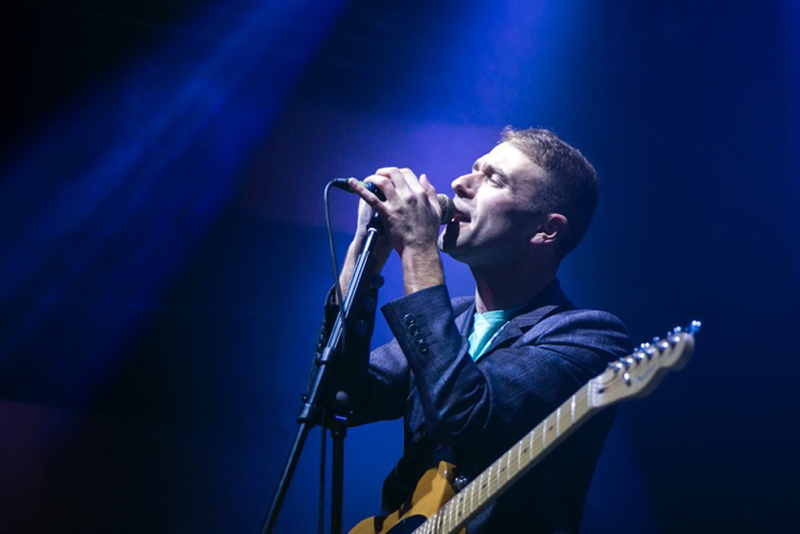 While Joy Wellboy’s approach favored instant gratification—”At a venue like this, when you only have half an hour to play, you don’t have time to build up,” frontman Wim Janssens told us backstage—Zoot Woman’s appearance was a slow-burner. The energy remained static until the last few tracks, during which the pair constructed a massive build-up that cascaded into rhythmic synth blasts. The floor was packed by the time James Blake took up his post on stage right. His set included a surprising number of throwback jams from his debut album, including “I Never Learnt To Share,” “Limit To Your Love,” and “Wilhelm Scream.” He spliced in a few hits from his sophomore LP (“Retrograde,” “Life Round Here”) and unreleased material that, he explained to the audience, had never been revealed before (or at least not in Budapest). 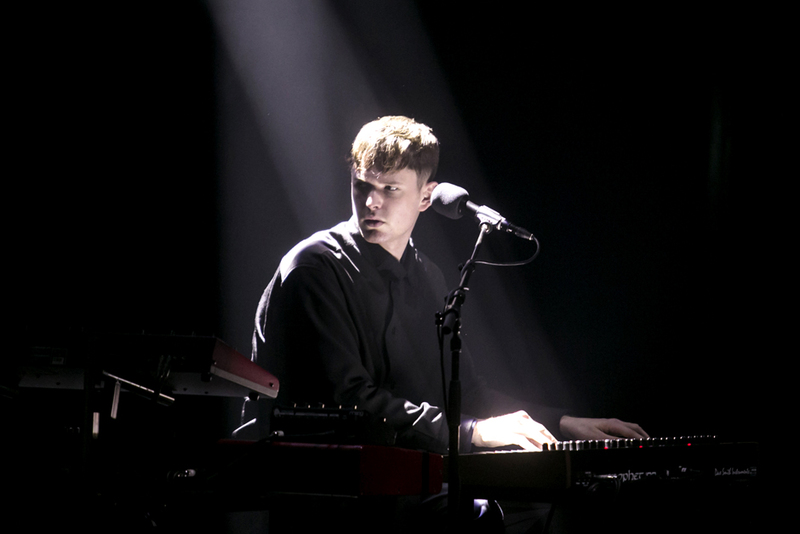 The songwriter and his band have streamlined some of the tricks that made his James Blake-era gigs so remarkable, like his pregnant use of silence that’s punctuated by admirers calling his name, and his penchant for recording the crowd’s cheers in the loops he uses to construct songs. His bandmates quietly left during “Wilhelm Scream,” leaving Blake alone to close out with an a cappella version of “Measurements” that sounded like a gospel of one. James Holden’s closing set was a fitting finale, because he created a trancelike atmosphere that was underpinned by a driving momentum rather than bleary-eyed stupor. Before he took the stage, we sat down with Holden for a quick chat about his tour schedule and his collaboration with Ableton—stay tuned to hear more about that. As for his set, Holden favored busy and emotive melodies, his last two tracks emphasized heads-down functionality and power. When he abandoned his post, the concertgoers stood in place for about 10 minutes, calling his name and begging for an encore that never came.